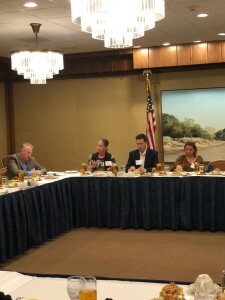 PESA held the second of two roundtables discussing Attracting Talent to the Permian on October 17 at the Petroleum Club of Midland. 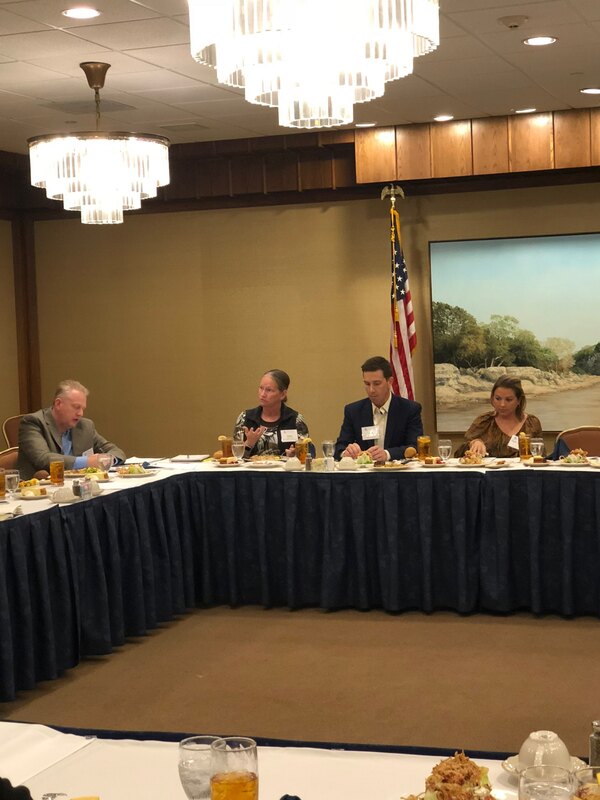 Hosted by the Human Resources and West Texas Steering Committees, the roundtable offered attendees the opportunity to build and expand on discussion topics that were brought up in the first roundtable, including issues such as education, daycare, healthcare, workforce and housing. Attendees discussed the shortage of teachers and classrooms in the area. School systems are addressing the space issue by using temporary buildings and conducting virtual classrooms, broadcasting to multiple locations with one teacher. However, a shortage of teachers and the high prices of rent have forced some teachers with families to live in the same houses or buildings. Even though oil and gas is booming in the Permian, high school students are not graduating with a skill set that the sector needs and do not have a strategic plan for a career in oil and gas. To try to slow the need for importing employees to the area, one oilfield services company has hired teachers to partner with Odessa Community College to teach community college programs in welding, electrical education and conveyor belt repair to high school students. When those students graduate, they will have both a diploma and certification that will allow them to get jobs. Local companies are also offering students internships, which can lead to permanent jobs. The focus is to educate high school juniors and work with them on creating a career trajectory in the sector. Seven high school students have been hired from this program. PESA is dedicated to introducing STEM skills to students in middle school, and the IPAA/PESA Middle School STEM Career Exploration Initiative was launched in the Permian this school year. Learners engage with interactive content and familiar environments to show them STEM in their world while utilizing STEM skills. Phase one includes 10 schools in six school districts and will reach 600-800 middle school students in the 2018-19 school year. Finally, the participants discussed the need for increased funding for all Permian Basin school districts. Because the state may not be the best source for increased school funding, public and private partnerships are needed to improve the area, with some suggesting modeling the area after North Dakota, which faced many of the same issues during the Bakken oil boom. Due to the shortage of hourly workers in the area, Chevron, Anadarko and Occidental are building a daycare facility that is expected to open in 2019. Smaller operators may not be able to compete with this employee benefit, and attendees discussed the option of having an independent contractor construct and run a new facility. Roundtable participants also discussed the challenges of seeking medical care in the area, with many going to larger cities to see doctors. For minor illnesses, area residents can often video conference with doctors and receive prescriptions. Additionally, the Midland Independent School District, City of Midland and some operators contract with physicians for exclusive use of for those organizations. However, Midland has a shortage of 160 physicians, especially pediatricians. In this environment, many physicians are choosing the “flat fee” option of care, where patients pay a $4,000 annual fee to be a patient. That guarantees access to care, but many people cannot afford the fee and find it difficult to get appointments with local physicians without this arrangement. This is one of the issues that discourages older oilfield workers and those with families from staying in the area. Participants discussed advertising to other communities to recruit physicians to come to the Permian. Required operator safety training for oilfield workers in the area was also discussed. To improve efficiency, it was suggested that PESA could offer a combined training for all OFS basin companies, with the Health & Safety Committee taking the lead. The matter will be taken to the Permian Strategic Partnership, a cooperative venture that formed earlier this year with 10 energy companies. There was also discussion about the need to make the area seem more attractive to young professionals. While the Chamber of Commerce offers a website promoting area activities and events, companies felt that more can be done in this area, including veteran outreach and job boards. Another idea was the use of artificial intelligence technology to find people who have family or social ties to the Permian and recruit them to move back to the area. Finally, participants discussed housing shortages in the area. Community financiers and builders have been hesitant to invest in this area with fears of the housing market collapsing during a downturn. A large-scale Woodlands style development has been proposed, but has lacked financing, as large scale investors worry about the fluctuating nature of the industry. As the lack of housing ties into the inability to attract teachers and other skilled workers, Members discussed engaging in fund-raising activities to building housing for teachers and childcare workers. These issues and more will continue to be topics of interest to Member Companies in the Permian. 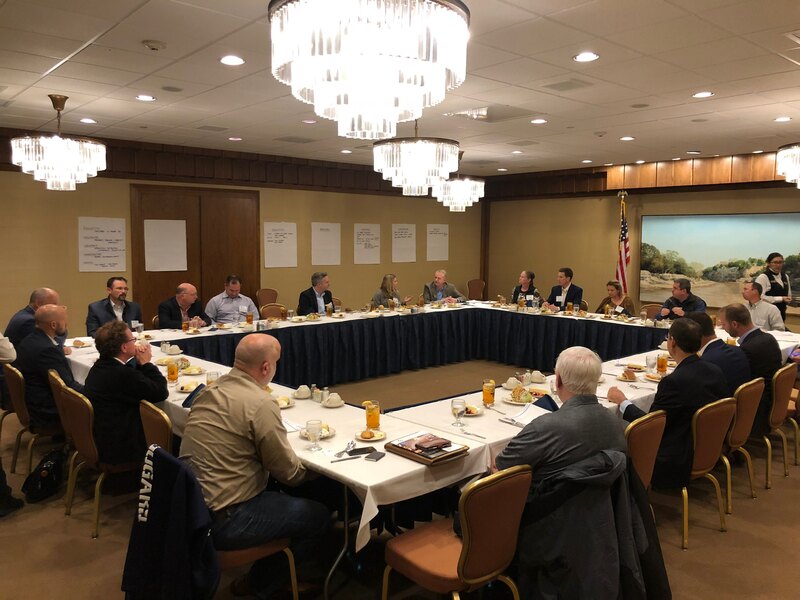 PESA will continue to facilitate Member engagement in the area with trainings, roundtables and events in 2019.